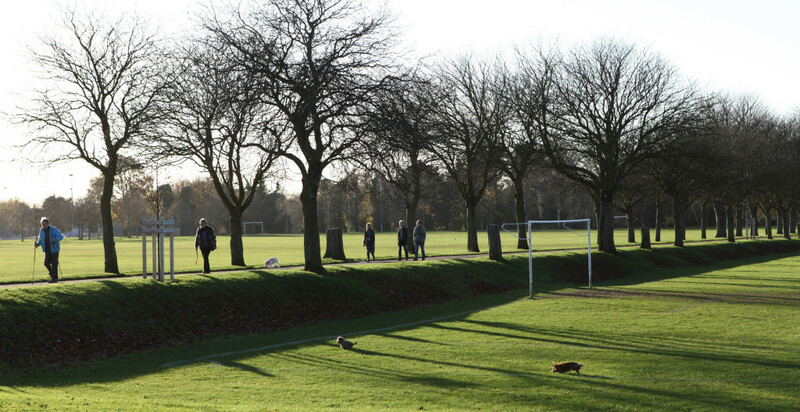 Eaton Park has acres of space to explore and enjoy. There are shady tree-lined avenues and benches for resting, elegant grade II listed buildings and glorious flower beds. There are meadows and woodlands, many different sports and activities and there’s a great café. 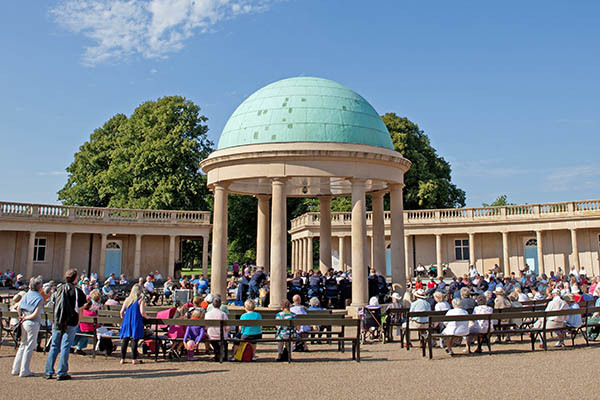 At the heart of the park is the rotunda; a domed bandstand surrounded by four colonnaded pavilions. The wonderful Eaton Park Café is based here, and open seven days a week. Elsewhere in the rotunda there are changing rooms and toilets, and groups such as Friends of Eaton Park, parkrun and Norwich Parks Tennis. In the summer the bandstand hosts concerts and other events. The boat pond is one of the finest in Europe. Anyone can bring a model boat and sail it here. There’s also a great programme of regattas and events organised by Norwich Model Boat Club. More here. 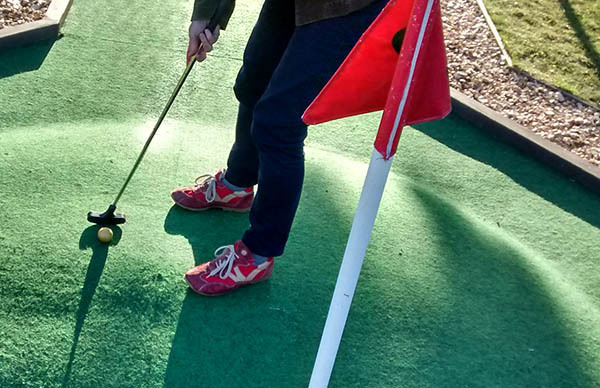 Great value, beautifully located and designed 18 hole course offering fun for all ages. Welcomes groups and parties. Full details here. There’s a fantastic playground with something for children of all ages to enjoy. 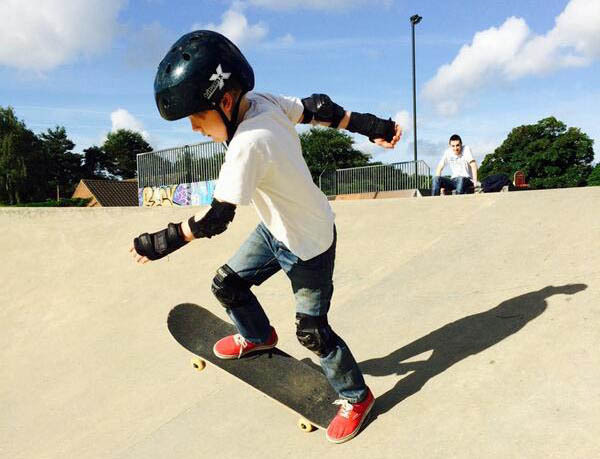 You’ll also find a skatepark, outdoor table tennis, 5-a-side footie, a model boat pond and acres of space to fly kites, have picnics, play catch, learn to cycle and more. 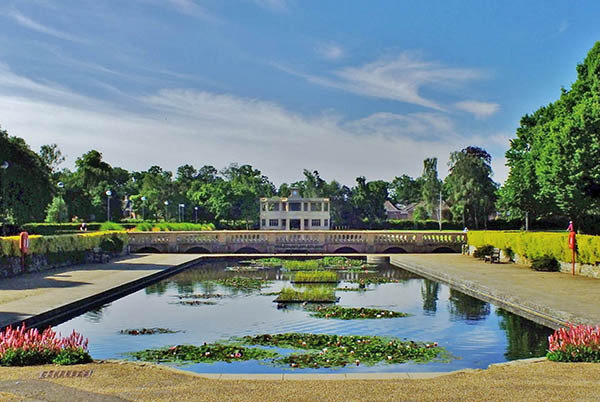 The large sunken lily pond sits in a line between the boating pavilion and boat pond, and the bandstand and rotunda. There are goldfish, and ducks and a heron sometimes visit. 18-hole green, where 9 varying holes, between 8 and 20 metres each, are played twice. Beside the Crazy Golf. More here. A great circular garden where rose beds and herbaceous borders are surrounded by a yew hedge. At the centrepiece is a fountain surrounded by seating. Fantastic, large demonstration/competition standard skate park. 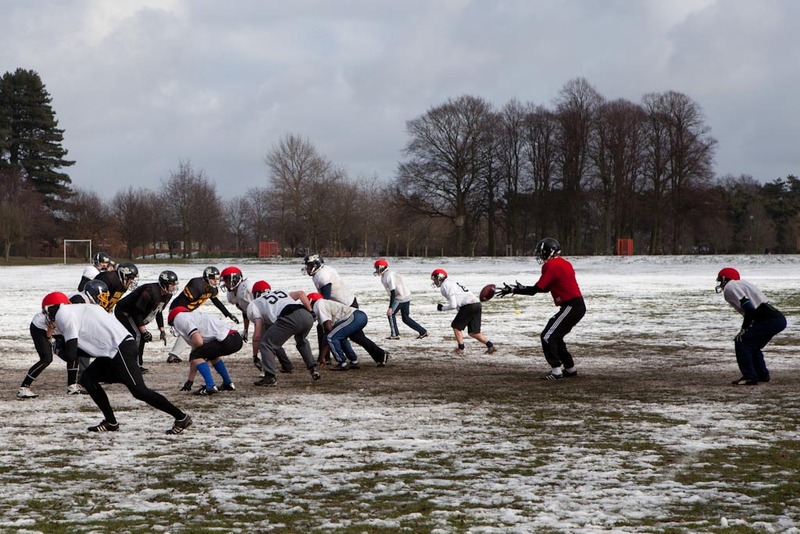 Bowling & croquet greens, cycle speedway, five-a-side goals, multi-use games area, pitch and putt, playing fields (cricket, football, ultimate Frisbee), table tennis (outdoor), tennis courts (all weather including floodlit). More details here.